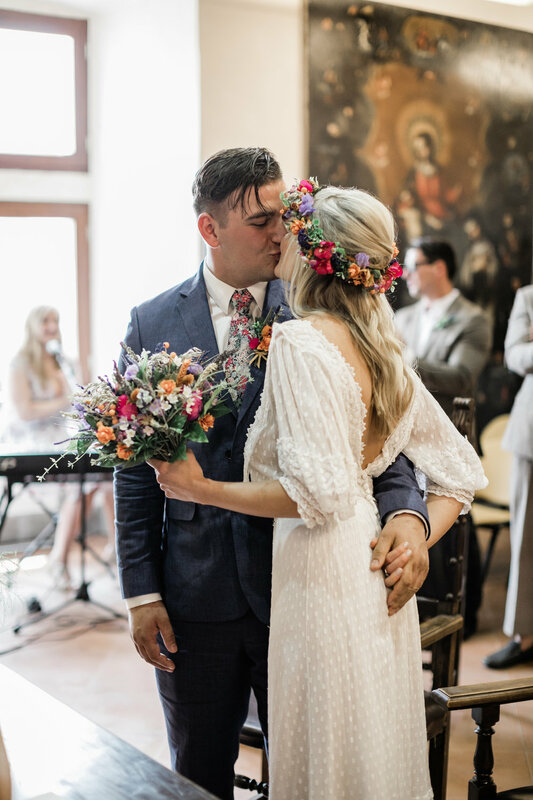 Alana and Mateusz were married on the 14th June 2018, on a sunny day in the beautiful medieval town, Comune di Vitorchiano, Italy. It was a wonderful, relaxed day filled with love, laughter, family and friends! Alana got ready for their big day at her mum and dad’s house, whilst Mateusz got dressed right next door!. She wore a stunning, vintage Edwardian dress that had been customised especially for her. Alana and Mateusz were married in a civil ceremony that was conducted by Alana’s mum’s friend, Luigi, who used to be the town Mayor! 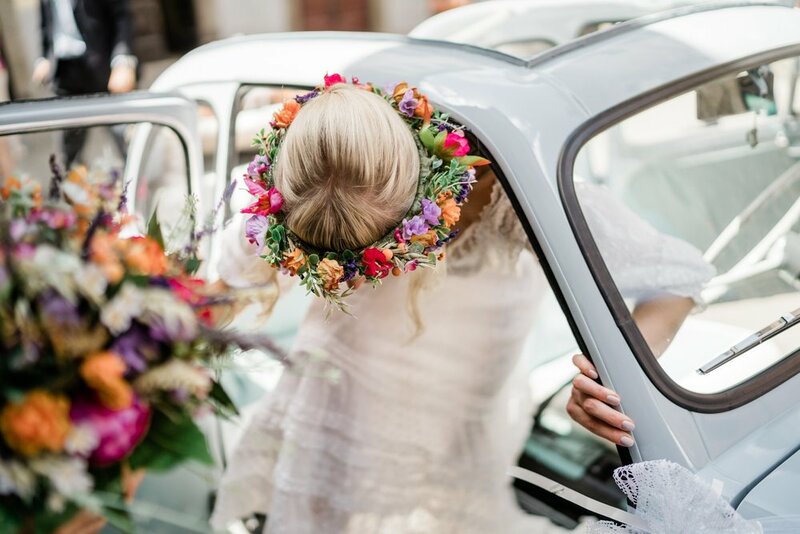 They drove to the reception at il circolo delle querce (the circle of oaks) in a wonderful Fiat 500 car! The Reception was truly magical, the food was outstanding and they cut their wedding cake right in the middle of the circle of oak trees! 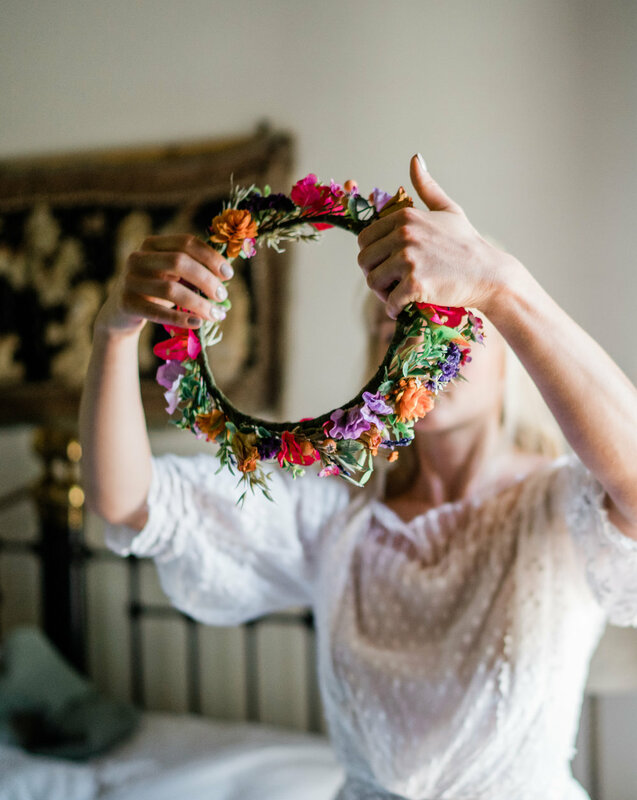 Alana’s bouquet and flower crown were made from a combination of dried and silk blooms in an array of vibrant colours, with lots of lavender, field grasses and bougainvillea. 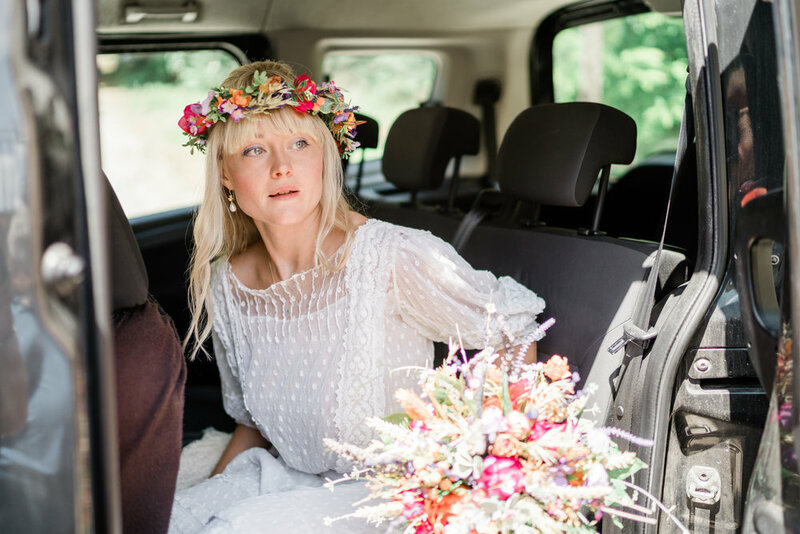 Big Congratulations to Alana and Mateusz and thank you for choosing Sleeping Flowers!